The Building Better Communities and Conserving Watersheds Act, 2017 (“Bill 139”) received Royal Assent on December 12, 2017. This means that Bill 139 is in force. However, the substantial amendments contained in the Schedules to Bill 139 which impact the future processing of Planning Act applications will not come into force until a day to be named by proclamation by the Lieutenant Governor of Ontario. Current indications are that the Proclamation Date will occur after the rules and regulations governing the new appeals tribunal are complete, anticipated in the spring of 2018. The most substantial changes in the new legislation relate to the Planning Act approval and appeal process, including the enactment of the Local Planning Appeal Tribunal Act, 2017 (the “LPAT Act”) and significant changes to the Planning Act. The amendments will repeal the Ontario Municipal Board Act and continue the Ontario Municipal Board (the “OMB”) under the name of the Local Planning Appeal Tribunal (the “LPAT’’). Changes to other legislation including the Conservation Authorities Act, were also incorporated in this Bill. 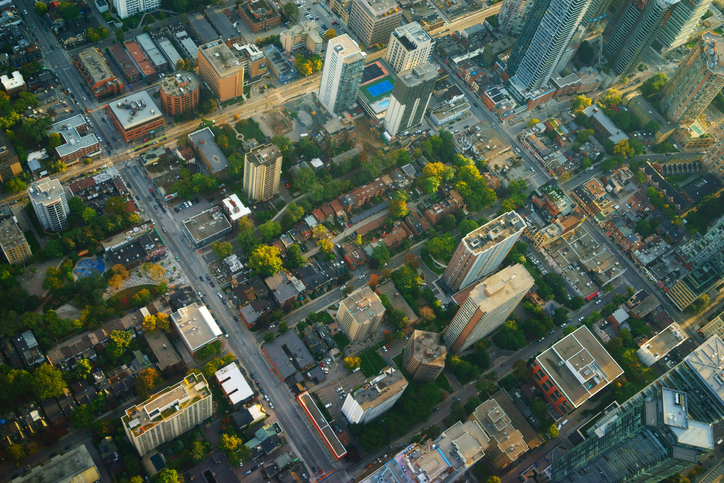 While many question marks remain, one thing is clear: Bill 139 will change Ontario’s land use planning system as we know it. Bill 139 contains substantive limits on rights of appeal from municipal decisions on Official Plans and Zoning By-law amendments (“OPAs and ZBLAs”) and significant procedural changes to the planning appeals process. The appeal grounds for applications for site plan, plans of subdivision, consents and minor variances remain unchanged. Prior to the enactment of Bill 139, the grounds for appeal for Official Plans and zoning by-laws have been broad and fairly easy to satisfy. Appeals are filed with the municipality or approval authority and then forwarded to the OMB for a Hearing de novo; in other words, the OMB could consider all the evidence independently. The OMB was not limited to determining if the original decision was wrong or unreasonable. Their mandate was to determine if the proposed plan represented good planning and met all policy tests. The LPAT’s role in assessing proposed OPAs and ZBLAs is much more restricted and is based on very limited grounds for appeal. For appeals of a municipally adopted or approved Official Plan or OPA, and zoning by-law passed by a municipality, the only basis upon which an appeal can be filed is by showing that the part of the Official Plan which is of concern to the appellant is inconsistent with provincial policy statements or fails to conform with or conflicts with a provincial plan, or fails to conform with the applicable upper tier plan. How the requested Official Plan achieves consistency and conformity with the provincial policies and plans and the upper tier Official Plan, as applicable. Thus, the grounds of appeal are very limited and no longer allow for the very broad “good planning” grounds previously permitted. As indicated above, the conformity test requires an applicant to establish that the existing parts of the Official Plan or zoning by-law are inconsistent with and fail to conform to relevant provincial policy and plans. Unless an Official Plan has yet to undergo a conformity exercise, it will be difficult for an applicant to satisfy this part of the test. These grounds may be easier to satisfy for ZBLA appeals, where, as in many cases, municipal zoning by-laws have not been updated to bring them into conformity with more recent OPAs. In addition, the appeal periods for non-decision have been extended. For OPAs and ZBLAs accompanying OPAs the new period would be 210 days. For standalone ZBLAs, the time has been extended to 150 days. There are also circumstances where appeals are no longer permitted. For example, where a municipality has included policies in its Official Plans identifying major transit station areas and providing for use, height and density policies in these areas, these policies will no longer be appealable, nor could these policies be amended by private application without permission of the municipality. Furthermore, where the Minister of Municipal Affairs and Housing is the approval authority of an Official Plan or OPA, there will be no ability to appeal the Minister’s decision to approve the document, even if substantially modified from the plan adopted by the municipality. Municipalities are also precluded from appealing in this circumstance. This restriction is particularly significant in the context of municipal comprehensive reviews. Under Bill 139, only the upper tier or single tier municipality can undertake a municipal comprehensive review, including matters relating to settlement boundary expansions and employment conversions. Because many of these decisions are subject to Ministerial approval, in most cases municipal comprehensive review decisions will not be appealable. One of the most notable changes going forward is the “two-phase” appeal process which will apply to OPA and ZBLA appeals. The first-stage of the appeal process is demonstrating to the LPAT that the conformity test referred to above, as applicable, has been met. At this stage, the legislation provides that the LPAT “may”, not “shall”, hold an oral hearing. Even if the appeal proceeds to an oral hearing, parties cannot adduce evidence or call/examine witnesses. Evidence would be based primarily on the written record which was before council when it made its decision. Thus, if an oral hearing is permitted it would be based on this record and oral submissions of the parties. A memorandum from the Ontario government seems to suggest that parties’ oral submissions will be limited to a 75 minute period. Note that this restriction on adducing evidence and calling witnesses also applies to a non-decision of a subdivision application. Bill 139 is silent on the ability to call witnesses or adduce other evidence with respect to all other planning applications and thus, at this time, the right to do so does not appear to be precluded. During the first-stage of the appeal process, if the LPAT finds that the conformity test is not met, the appeal does not proceed any further. The appeal is dismissed. If the LPAT finds that the conformity test is met, the application is returned to Council for an opportunity to make a “second decision”. If Council makes a decision when the matter returns to it, the applicant can appeal to the LPAT again on the same grounds. If Council fails to make a decision within the prescribed time frame, the applicant can appeal to the LPAT on any ground. At this stage, the ability to call evidence and examine witnesses is not specifically precluded under the LPAT Act. However, the Minister has the authority to make regulations governing the practices and procedures of the LPAT and may propose to similarly limit the “second decision” appeals to oral submissions with strict timelines. In relation to the second appeal, if the LPAT determines that the appellant has met the applicable tests, the LPAT may modify or approve the requested amendment. If the applicable test is not met, the LPAT is required to refuse the appeal. Appeals filed before Proclamation (to be determined) if an application is complete before December 12, 2017. Any applications completed after December 12, 2017, if appealed, are to be dealt with under the new rules and considered by the LPAT. Likewise any appeals filed after Proclamation, will be considered by the LPAT under the new rules. While the proposed transition Regulations are reassuring for clients with applications in queue with the OMB, there is no guarantee that they will be passed in their current form. Even if they are, the future of planning appeals in Ontario promises to be a whole new world.